The Dynamic Plate Ice Maker by ITC built this exquisite, extreme and extraordinary ice making unit designed to produce tons of flake ices along the falling film plate sheet and used it widely in various industries, commercials, food processing and others. Required Cooling Capacity (kWr) at -10℃ Evap.Temp. Other capacities and dimensions are also available. Please contact manufacturer. ITC’s Dynamic Plate Ice Maker is one of the most exquisite, extreme and extraordinary ice making units we have ever made. This ice maker is designed to build tons of flake ice along the falling film plate sheet. It is extensively employed in various industries, commerce, food processing and many more. In addition, this superb hygienic interior structure is made from stainless steel film dynamic plate sheet (AISI-304 plate), which is resistant to corrosion. 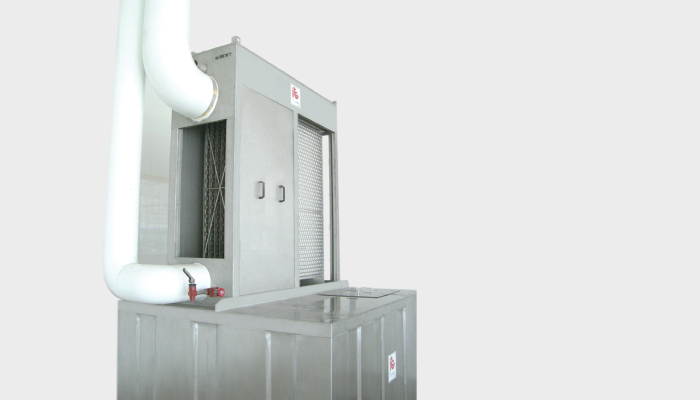 Besides, its wide dimension and high evaporating temperature also simply provide high efficiency performance. Therefore, it can accommodate large capacity of ice production and can quickly freeze the ice in a very short period of time. er you this outstanding ice maker that will definitely drive you through success. Not only can it give you the swift ice making but it can also withstand in an extremely contested environment. High enery efficiency at higher evaporating temperature. Unit's capacity at wider range. Lighter weight than any other ice flake machines.